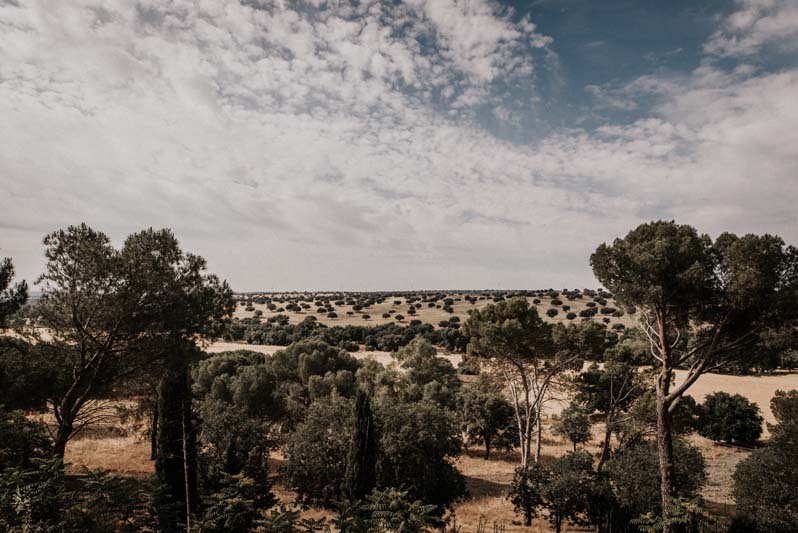 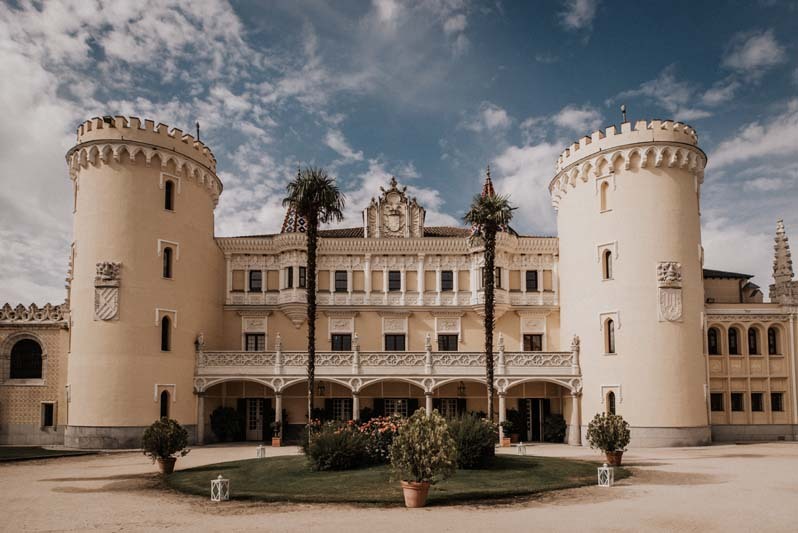 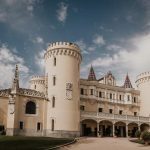 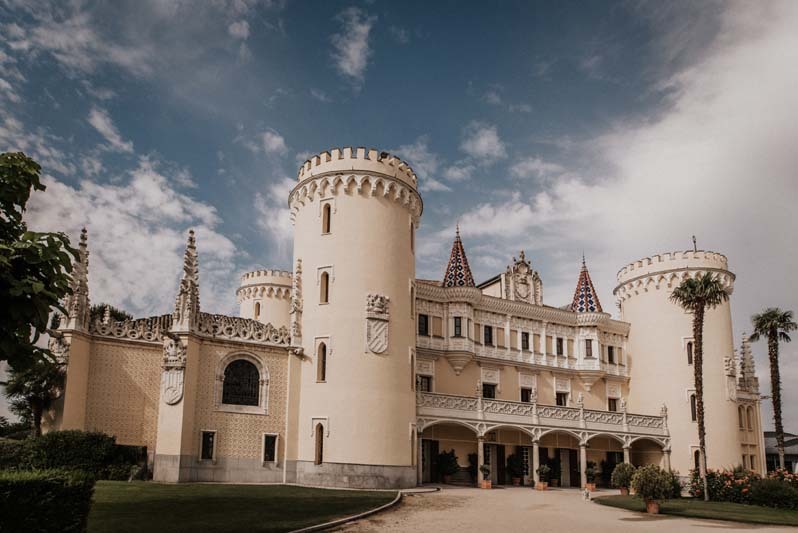 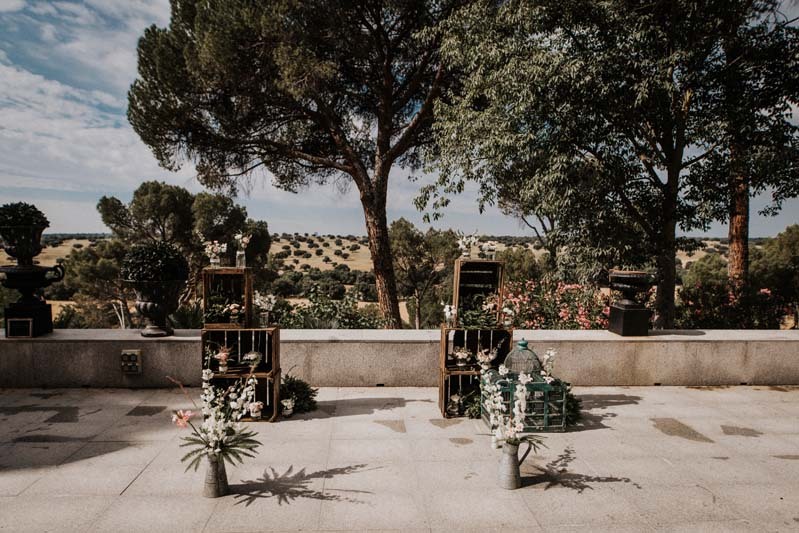 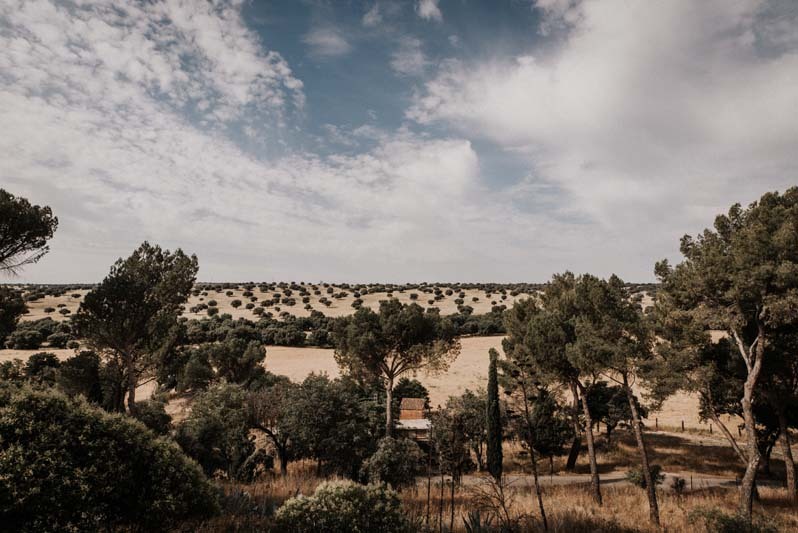 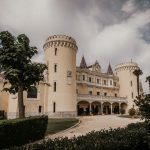 Castle of Vinelas is an amazing place, located only 20 km from Madrid – it is 3 thousand hectares in the heart of the protected forest, where among the centennial oaks are freely grazing roe deer, deer, wild boars, Imperial eagles flying high in the sky looking for prey. 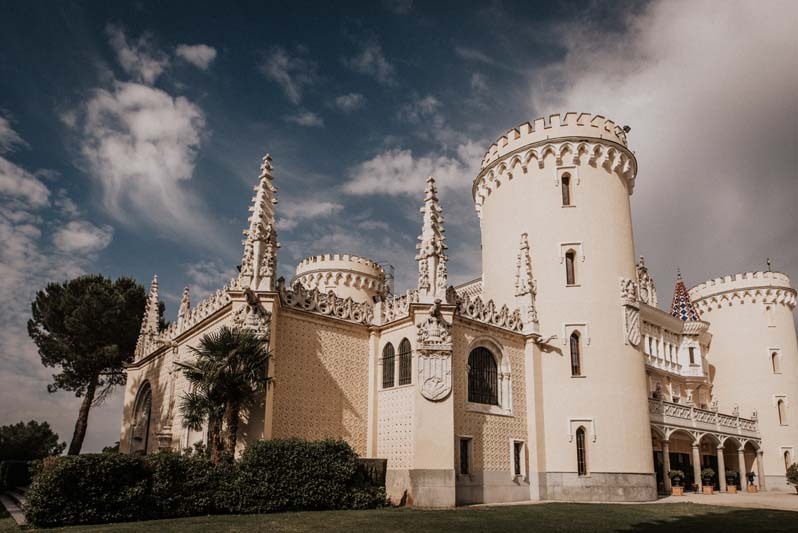 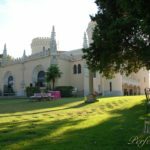 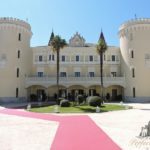 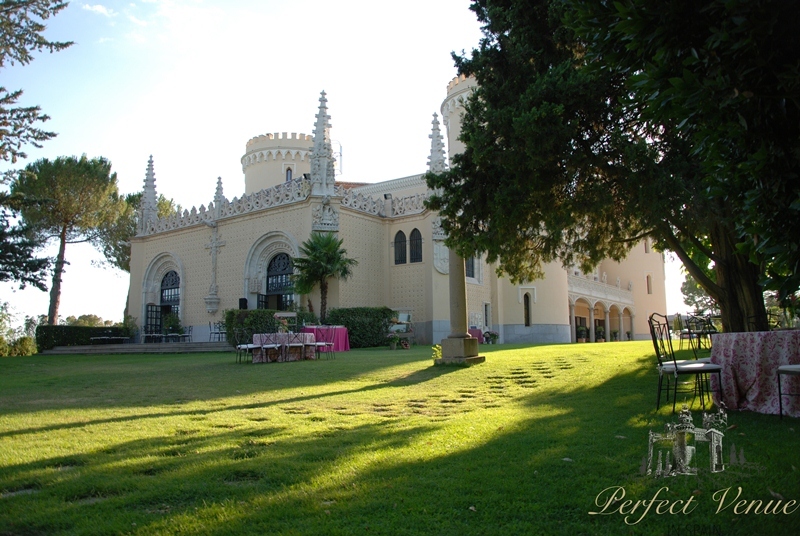 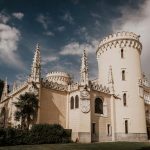 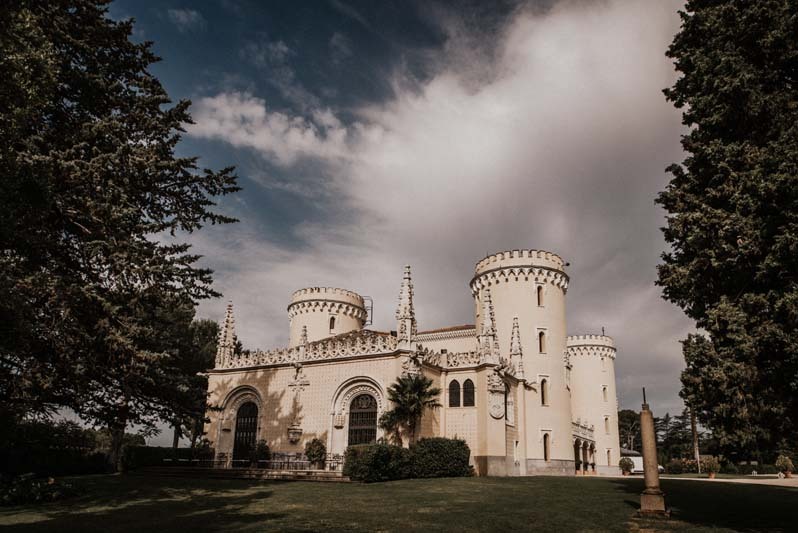 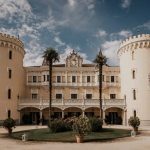 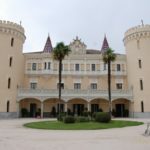 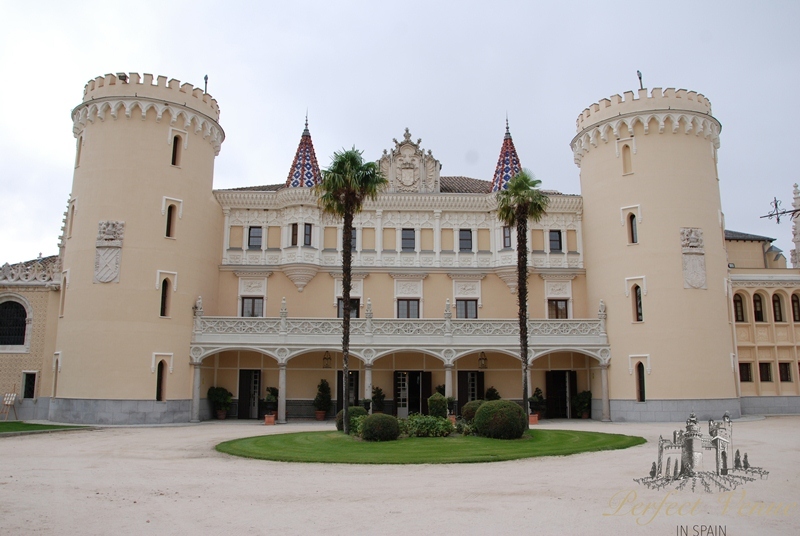 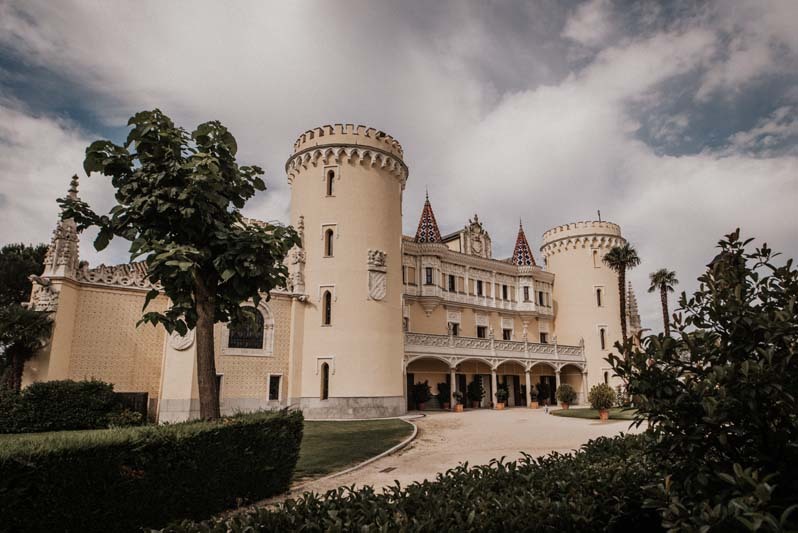 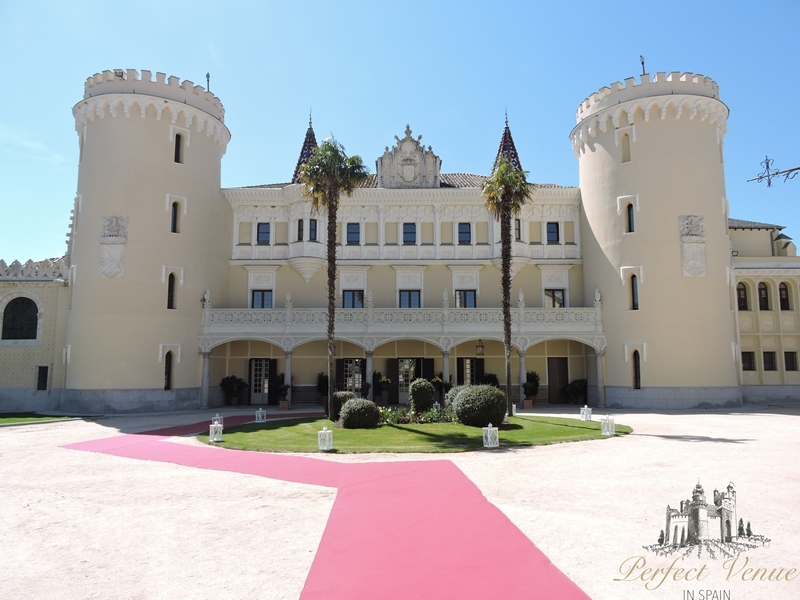 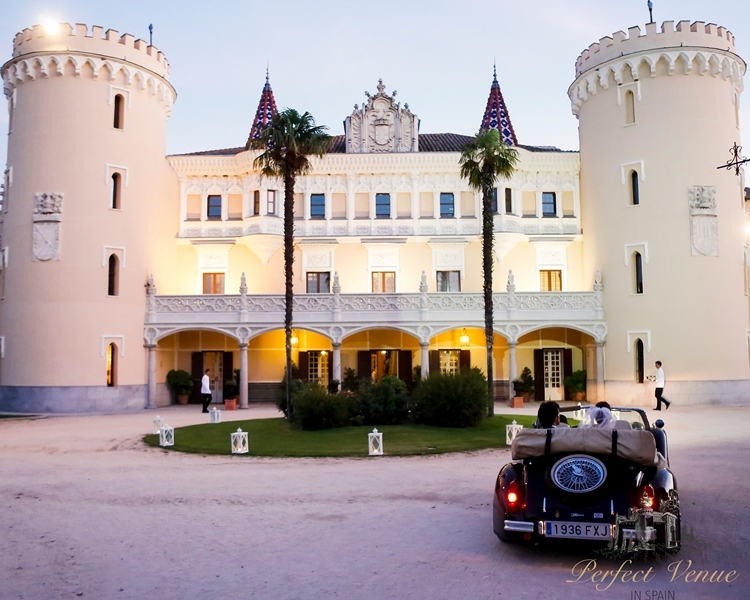 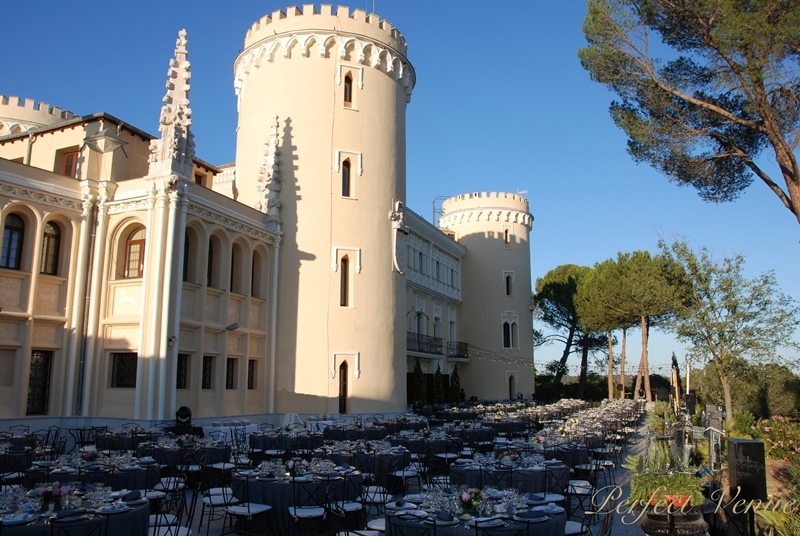 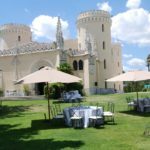 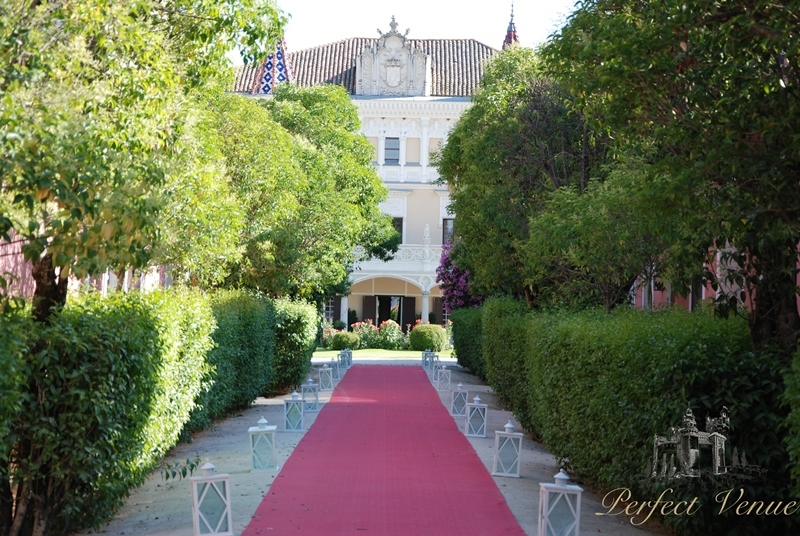 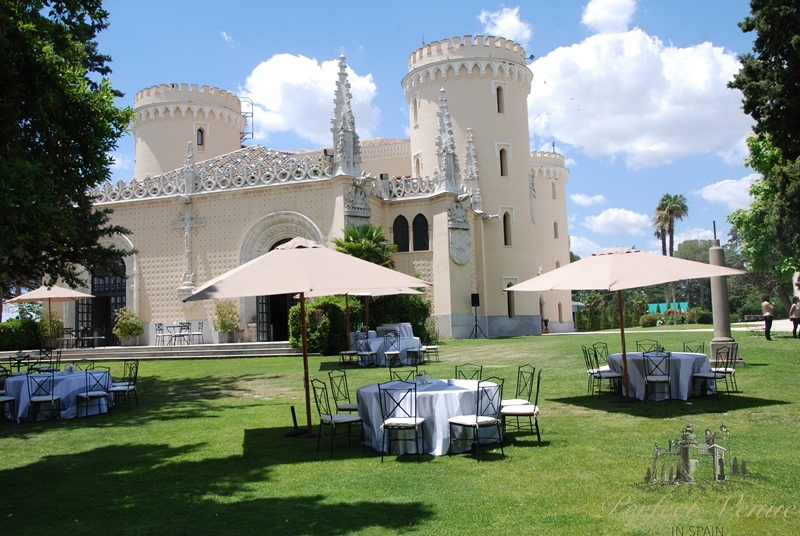 Castle of Vinelas was designed to be a fortress palace, built in the XVII century and belonged at different times to Spanish monarchs and aristocrats. 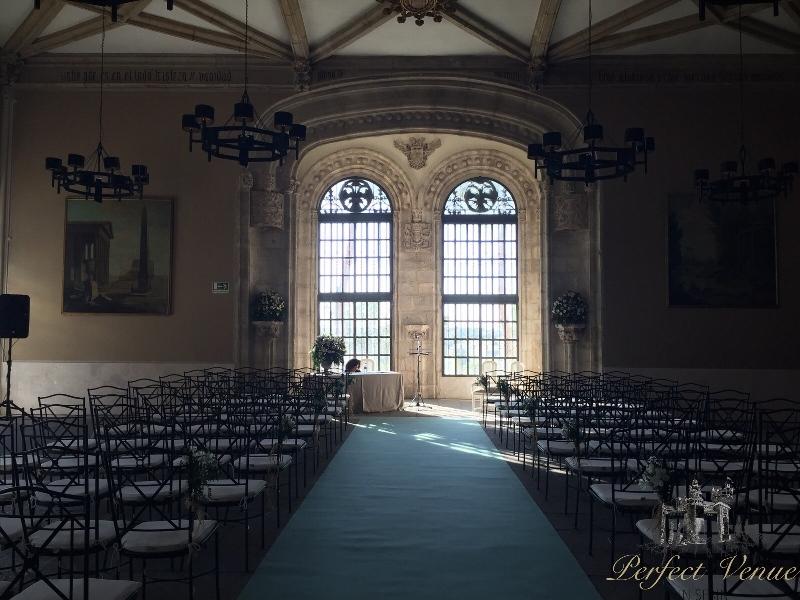 Its majestic halls and unusually picturesque landscapes are ideal for a luxurious wedding or any other event that you plan to make unforgettable! 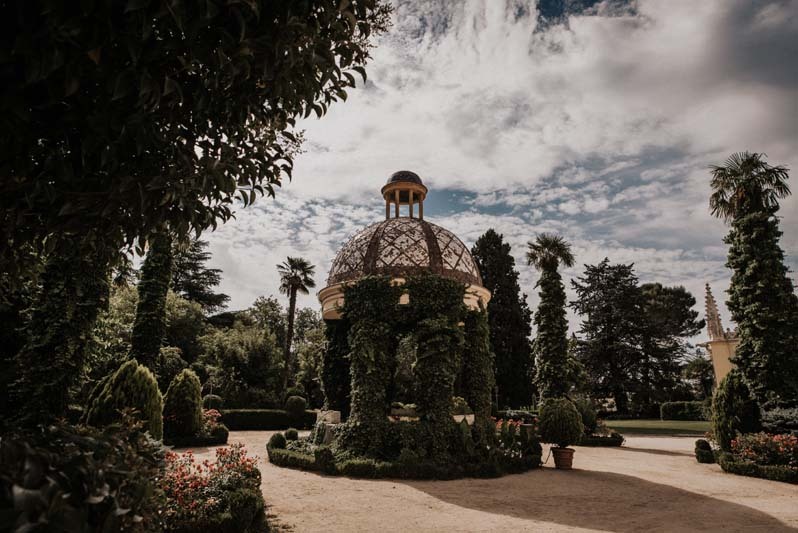 The magnificent gardens of the Castle of Vinelas are truly impressive ones. 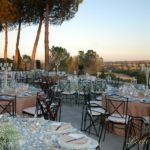 Here you can start your wedding celebration with a luxurious cocktail – exclusive from Aldovea Catering. 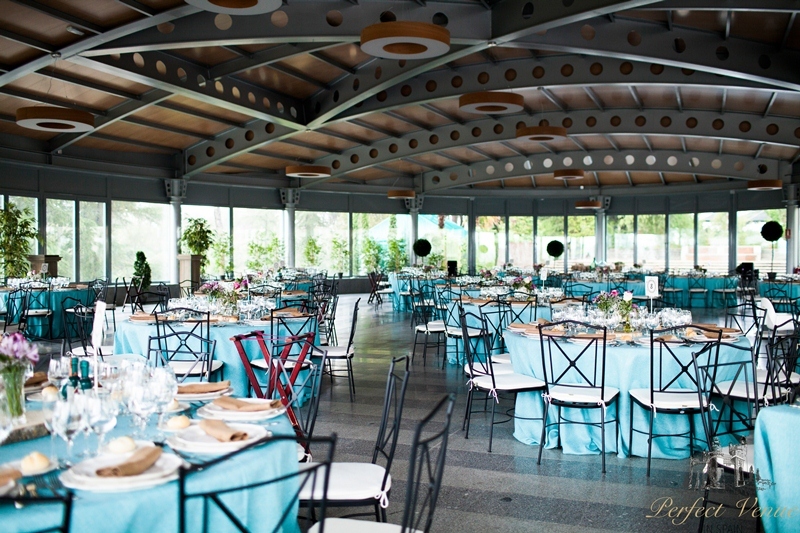 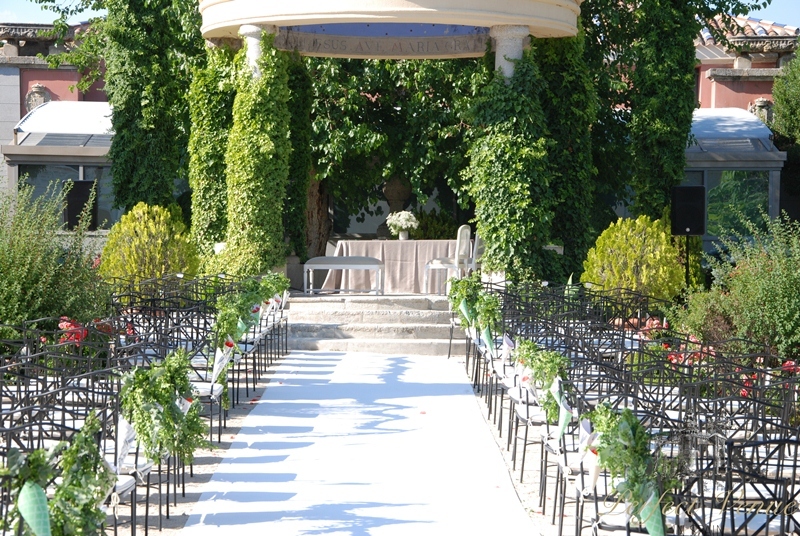 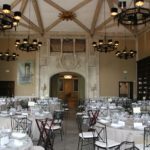 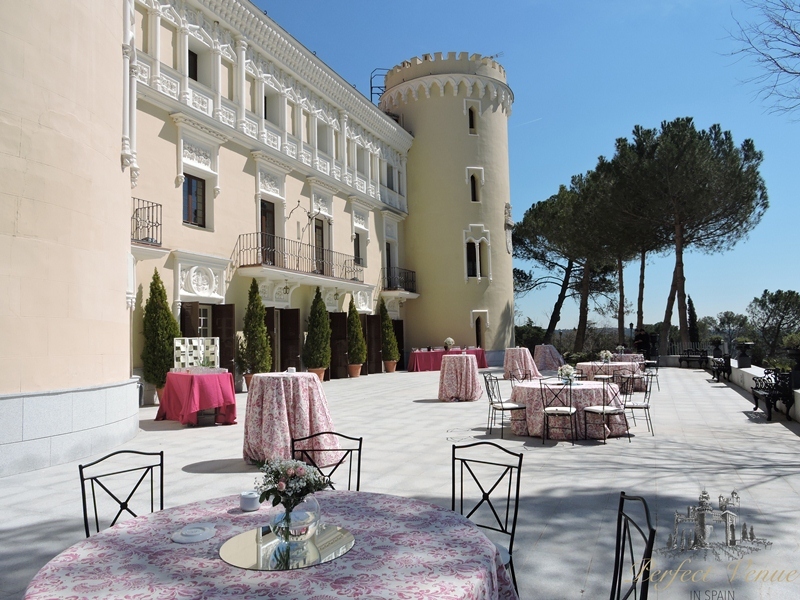 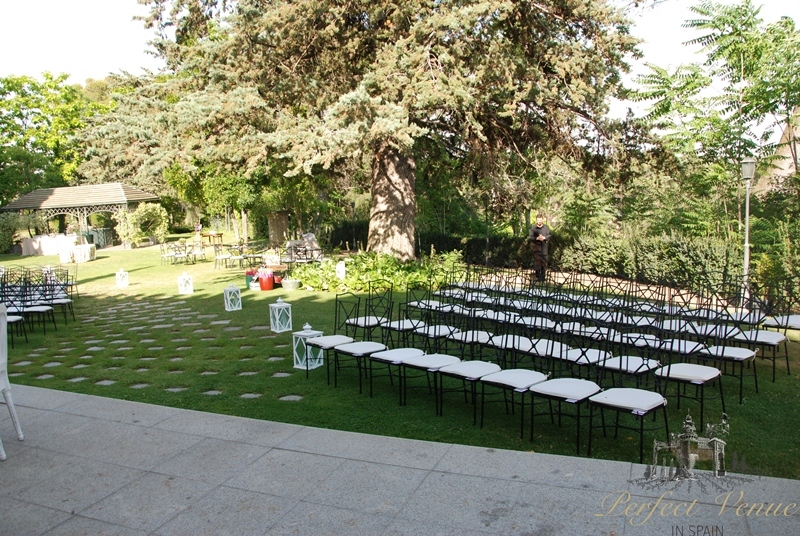 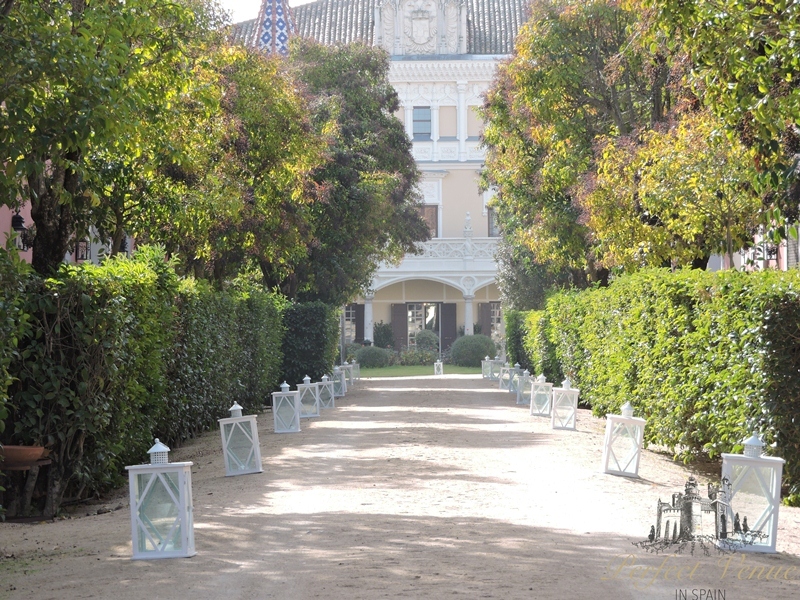 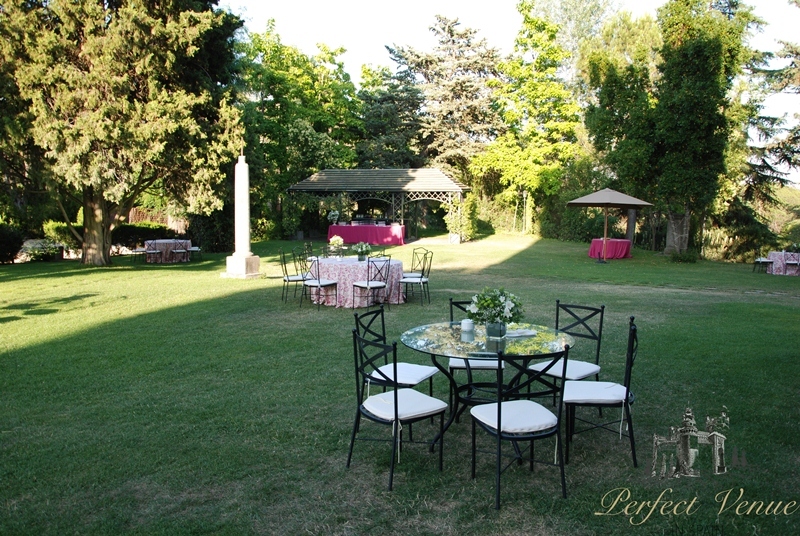 Nearby is a beautiful location (temple) in which you can hold a civil ceremony, and there are two large rooms where you can organize (depending on your preferences) a banquet or an open bar. 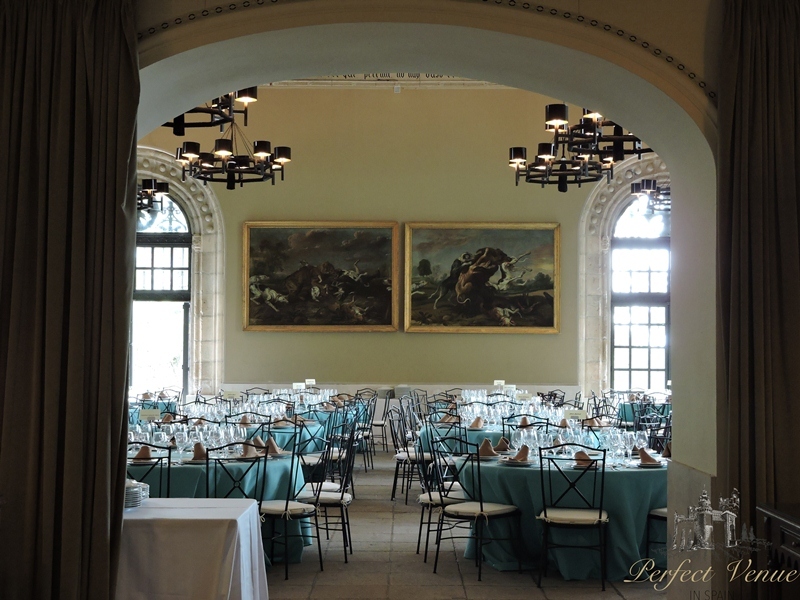 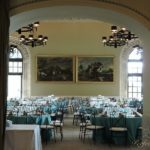 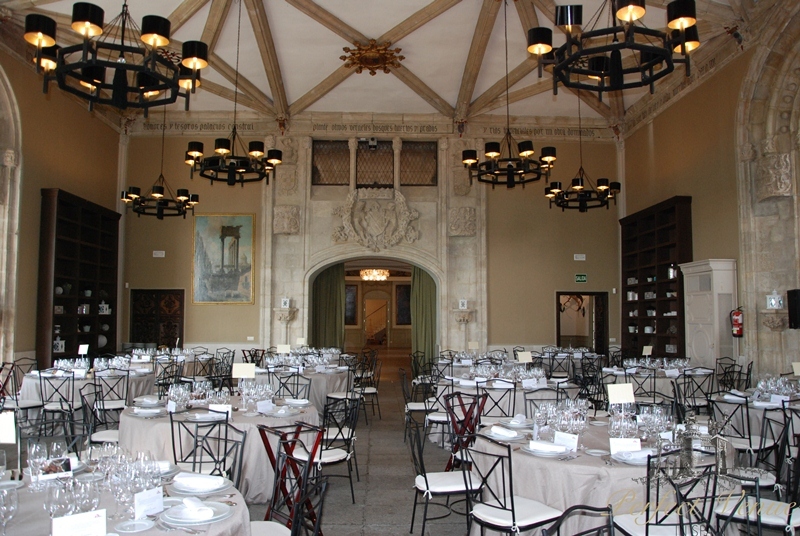 The premises consist of two salons (living rooms) – the Great Hall, which has a high architectural and historical value. 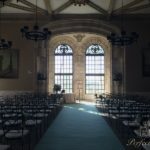 In the decoration of the hall you can notice the original architectural elements of the Spanish Gothic, that were brought in the early 19th century from the church of San Francisco de Cuellar (Segovia, XVI century). 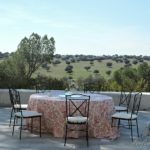 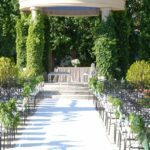 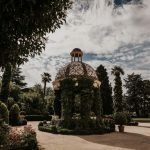 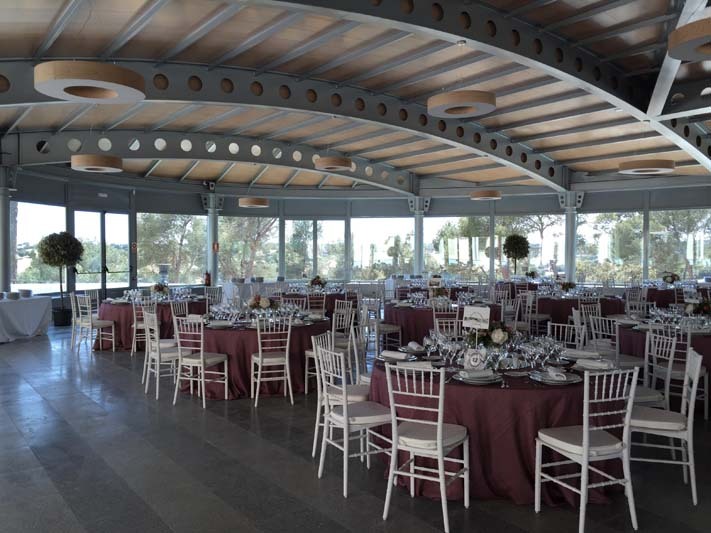 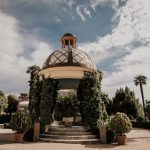 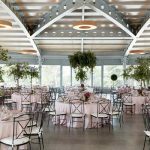 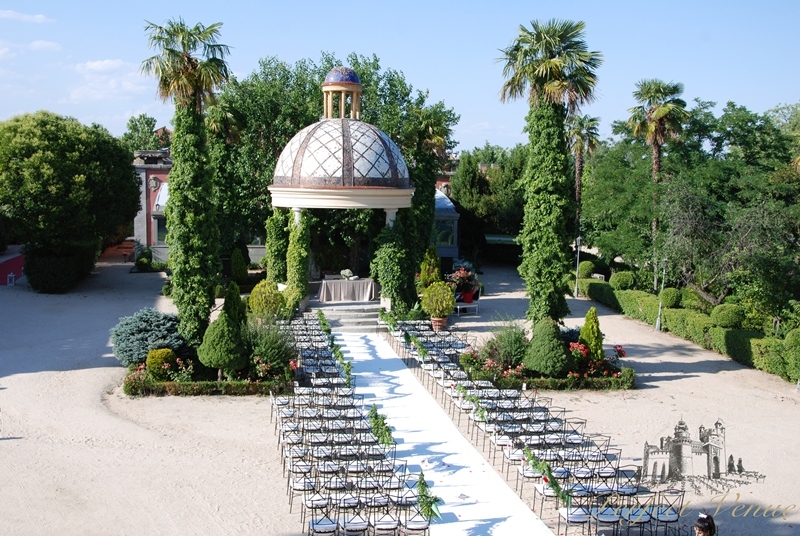 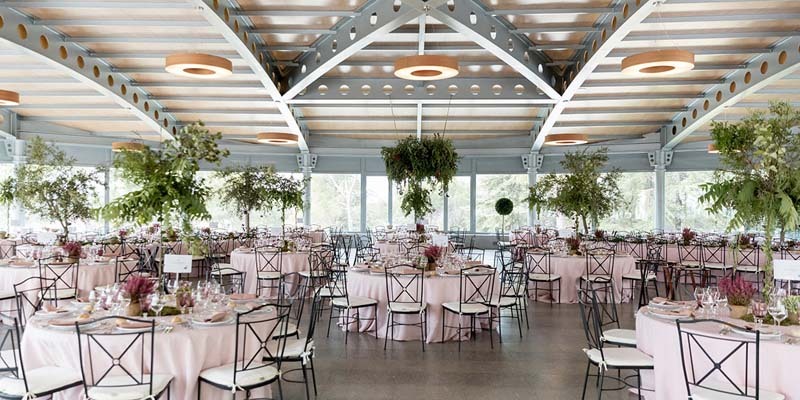 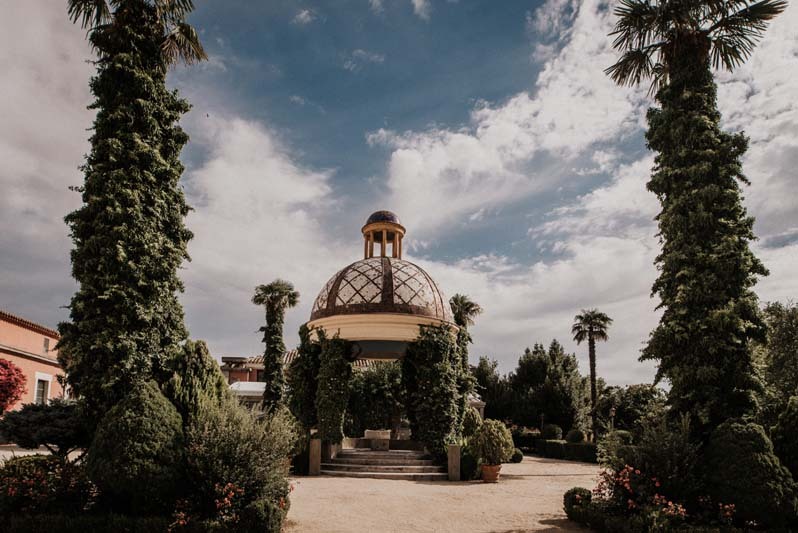 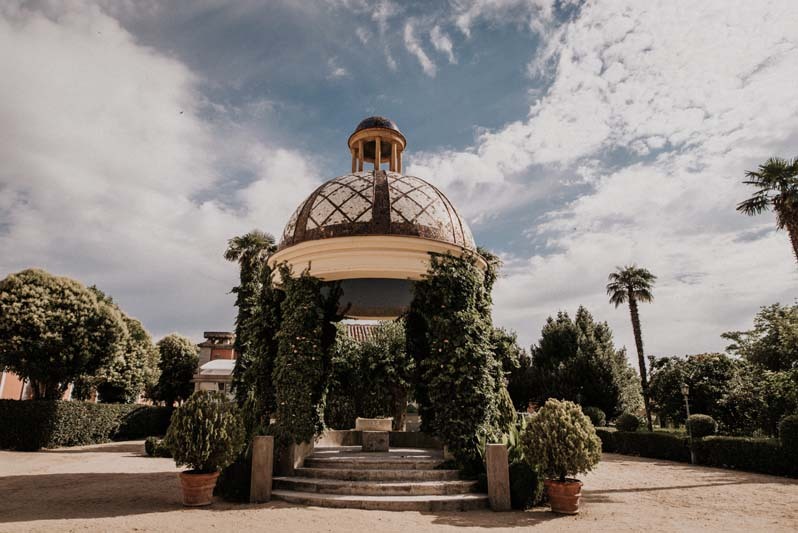 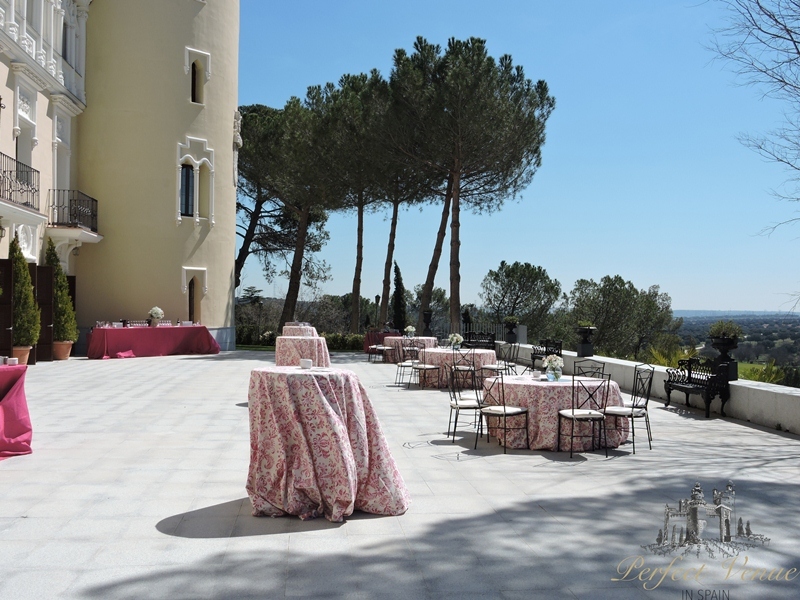 The new ultramodern gazebo perfectly harmonizes with old buildings – it is almost entirely made of special glass, and it opens a glorious panorama of the estate to the happy newlyweds. 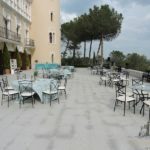 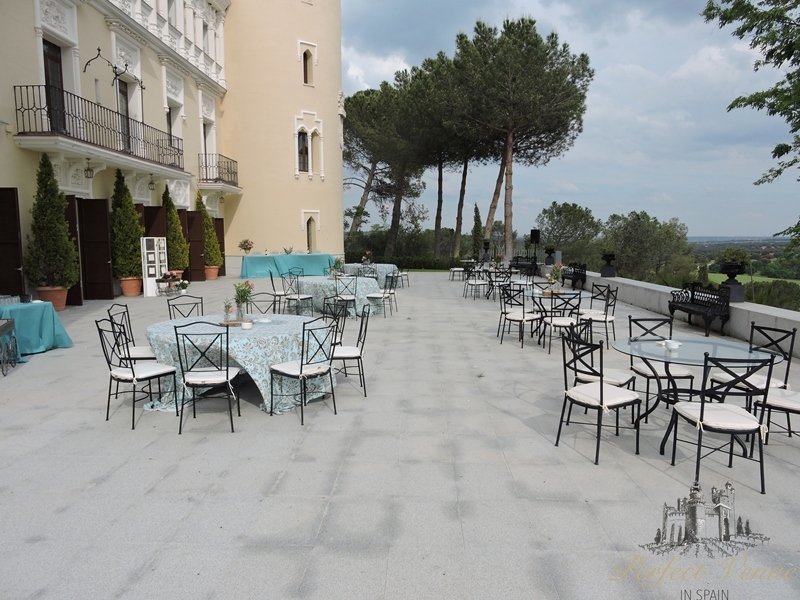 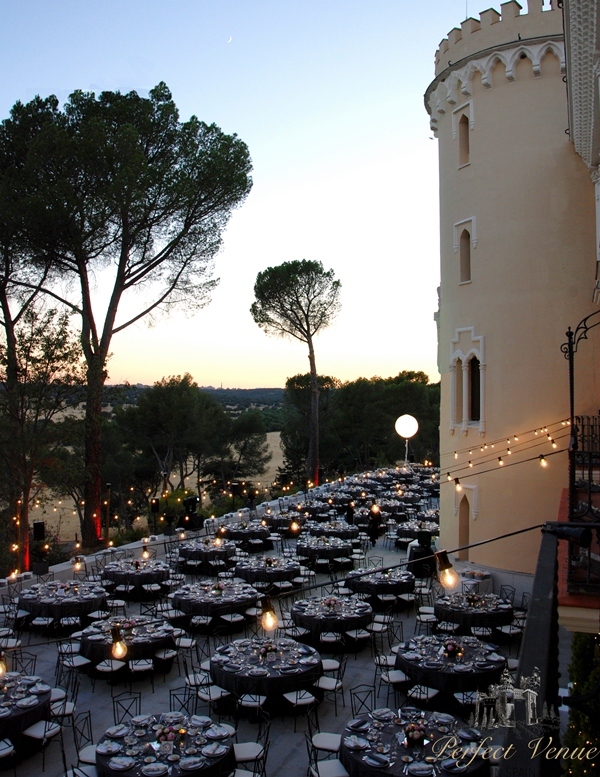 Comfortable, spacious, beautiful – a new terrace allows to comfortably accommodate almost 1000 guests. 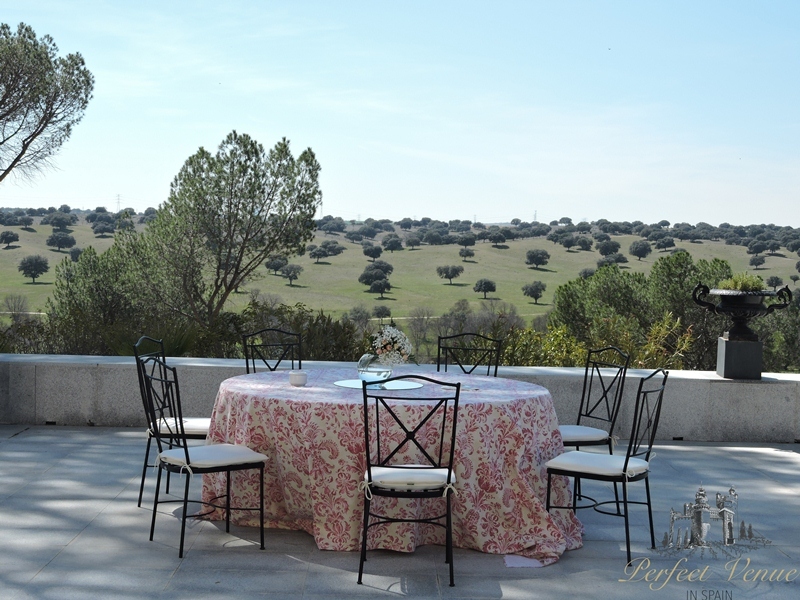 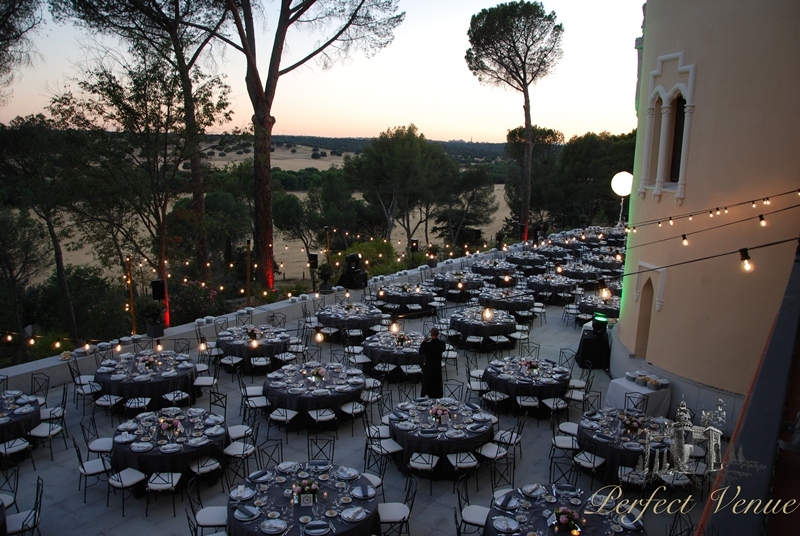 The terrace features a wonderful view of the farm and the forest, where you are able to spot even deer trails. 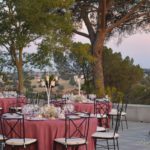 The team of chefs is led by the chef Miguel Angel Amo – a very experienced professional, specializing in wedding receptions. 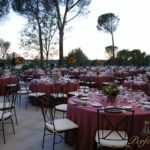 Therefore, at a wedding dinner or any other occasion, you can please your guests with gourmet dishes prepared especially for your celebration! 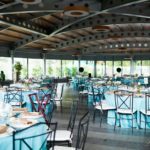 – What is included in the menu? 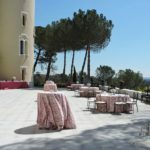 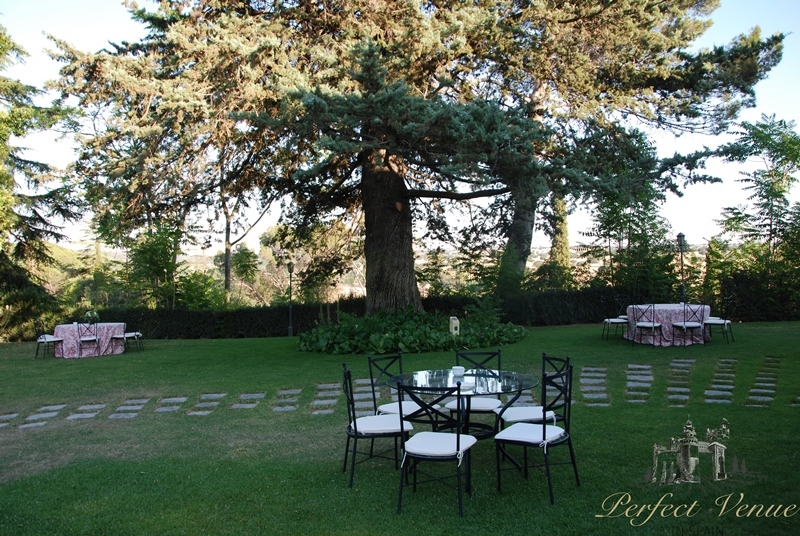 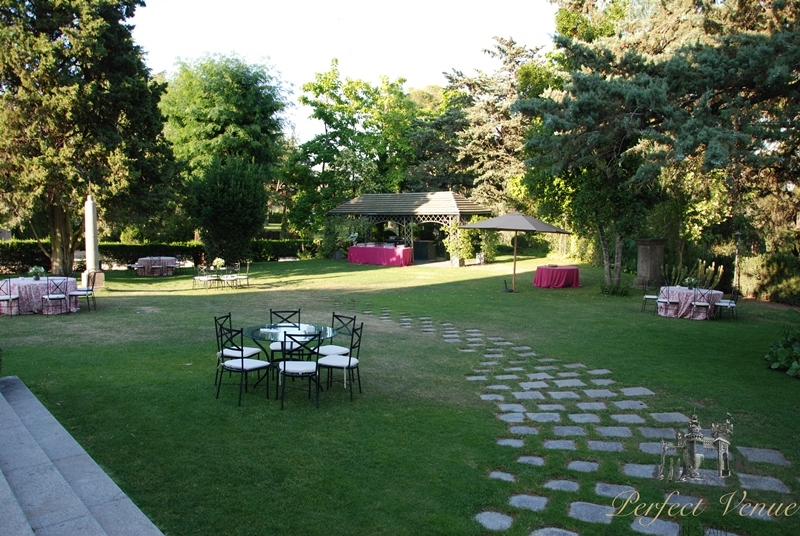 Each menu includes: appetizers for the cocktail, first course, second course, dessert, coffee and various teas (herbal teas, tinctures), candy and liqueurs as well as an open bar and wine (Resina). 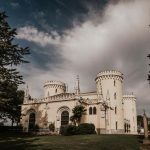 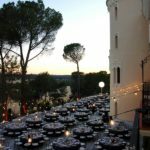 – How does the payment take place if there are less guests than minimum? 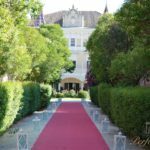 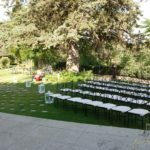 The budget is calculated based on the number: 190 people (adults) on Saturday during the high season is the base amount that cannot be changed if the number of your guests is less than this. 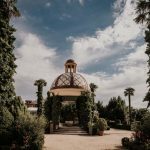 – How is the payment itself made? 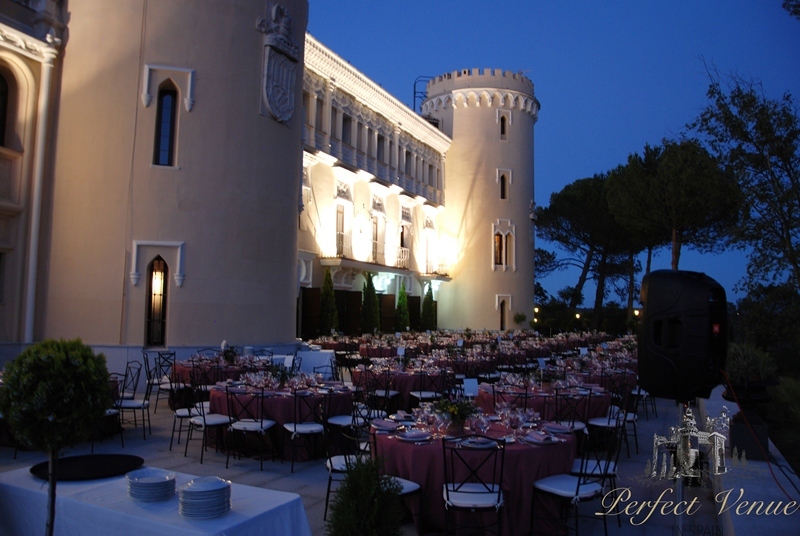 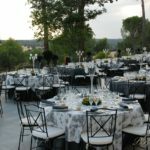 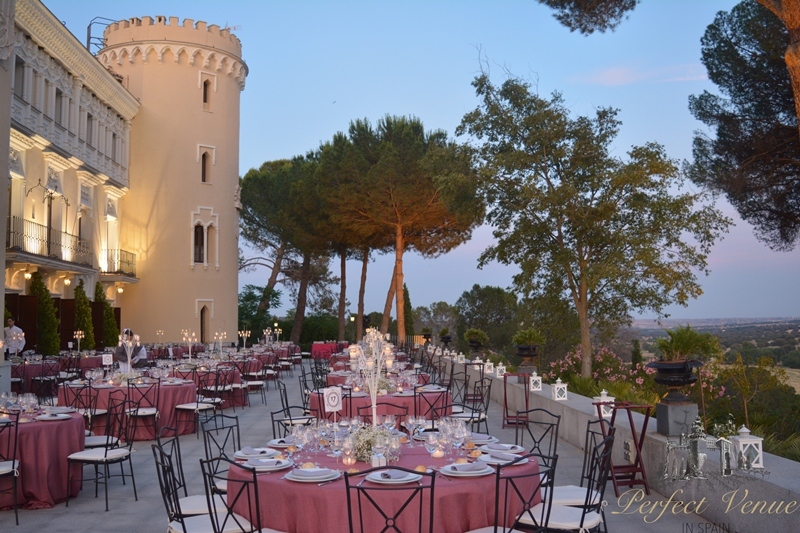 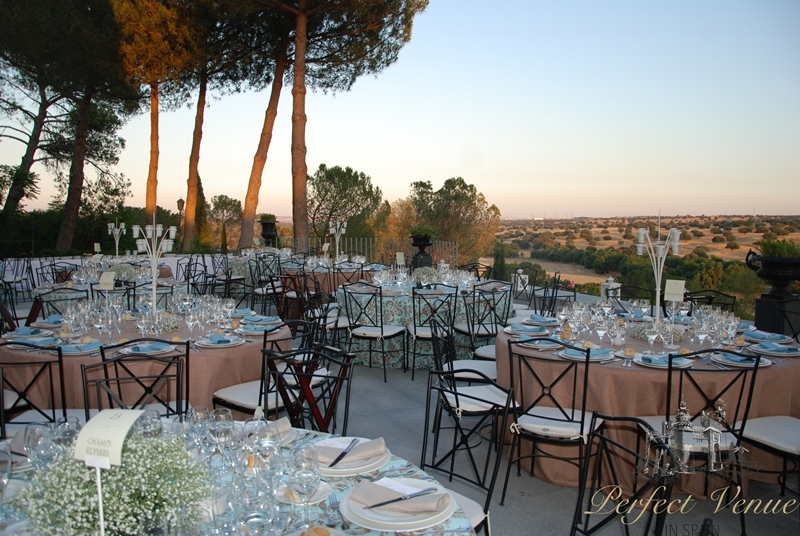 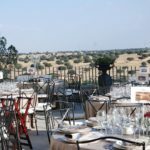 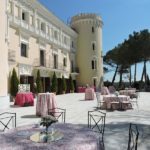 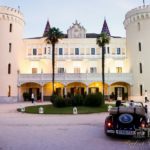 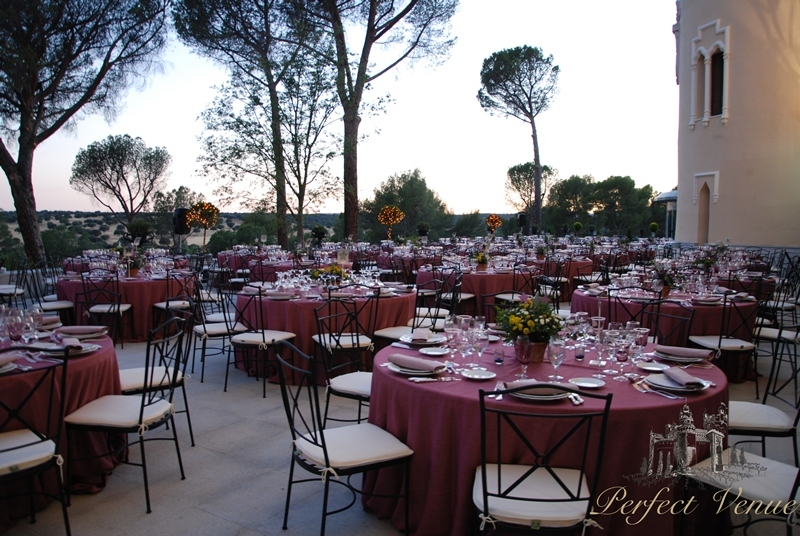 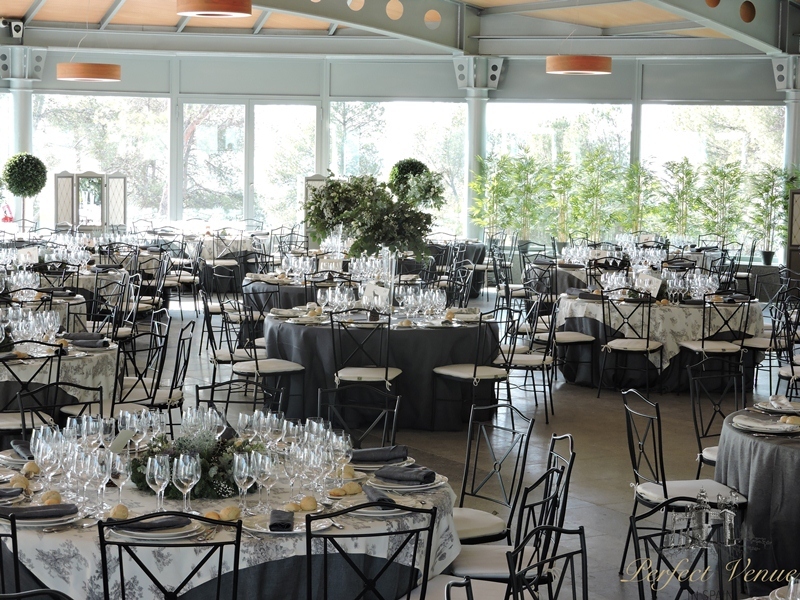 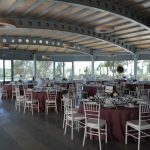 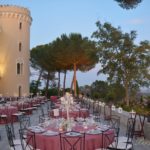 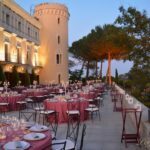 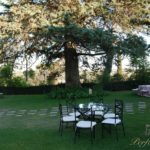 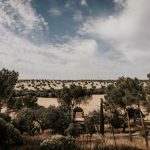 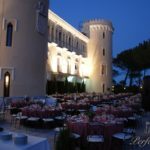 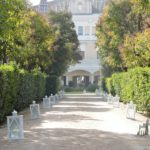 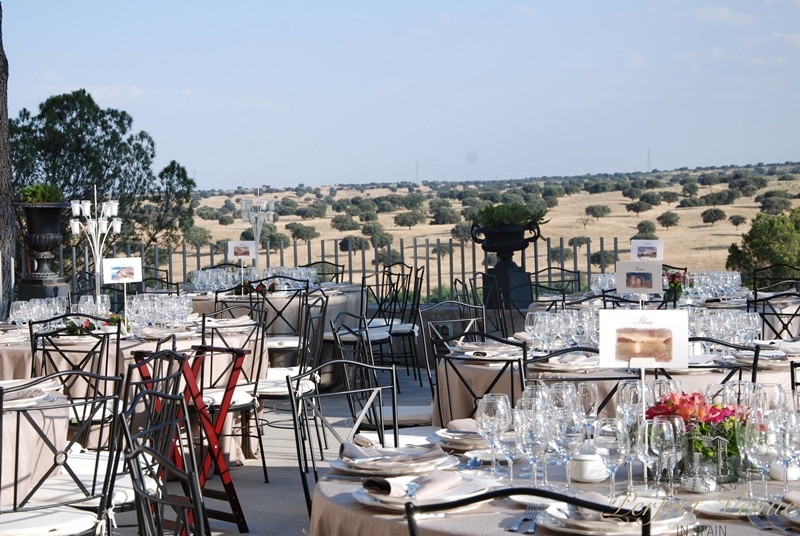 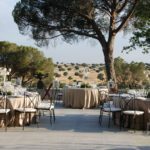 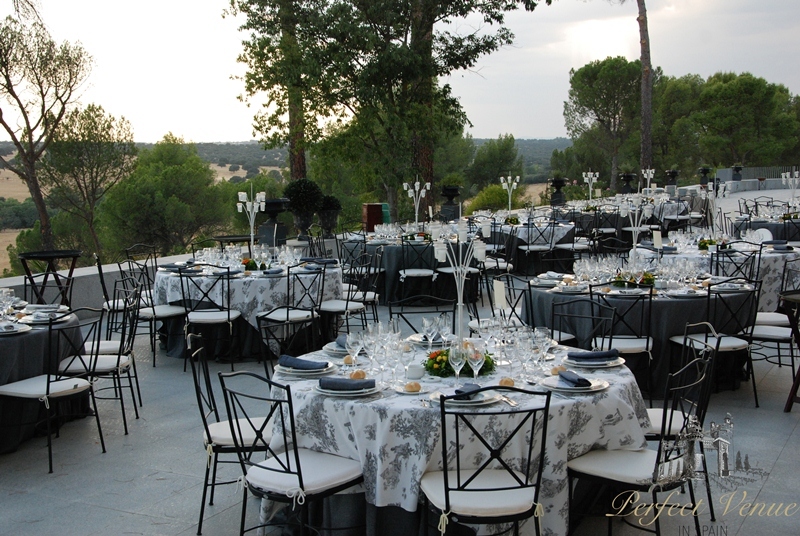 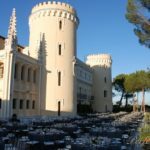 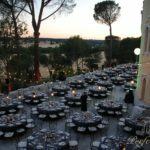 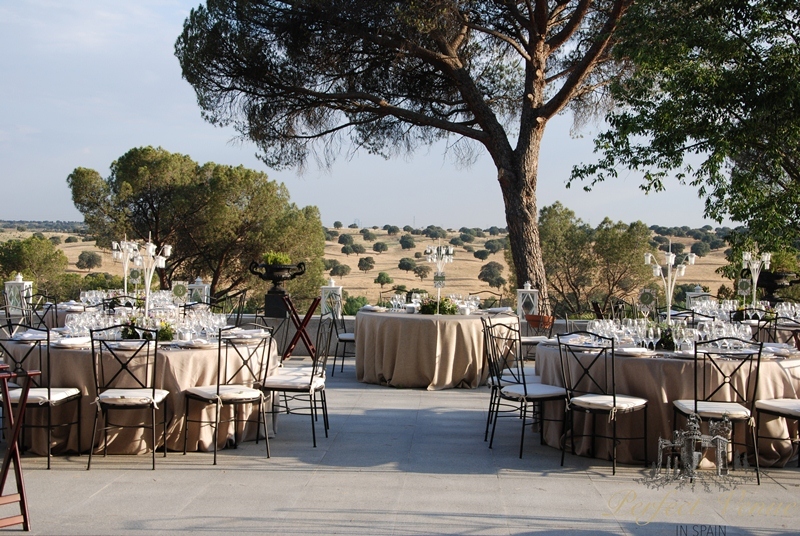 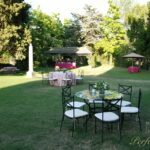 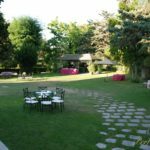 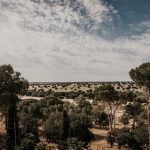 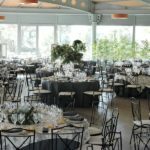 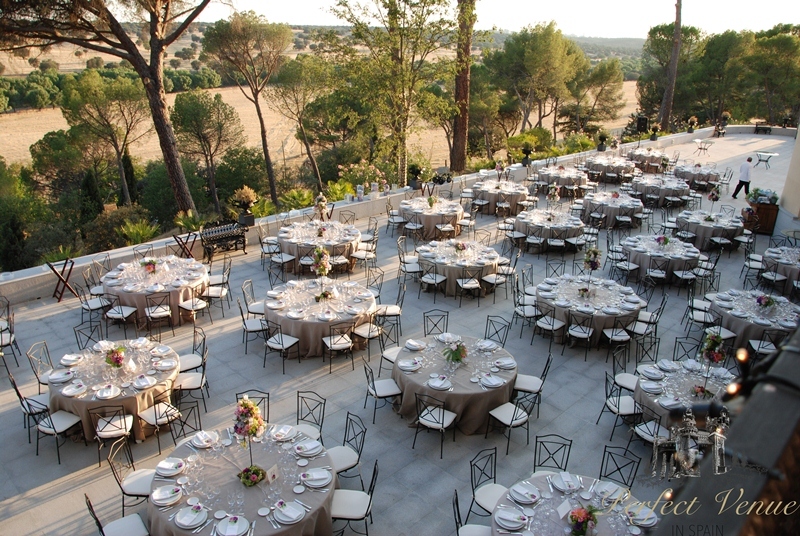 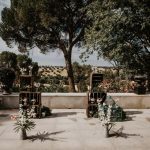 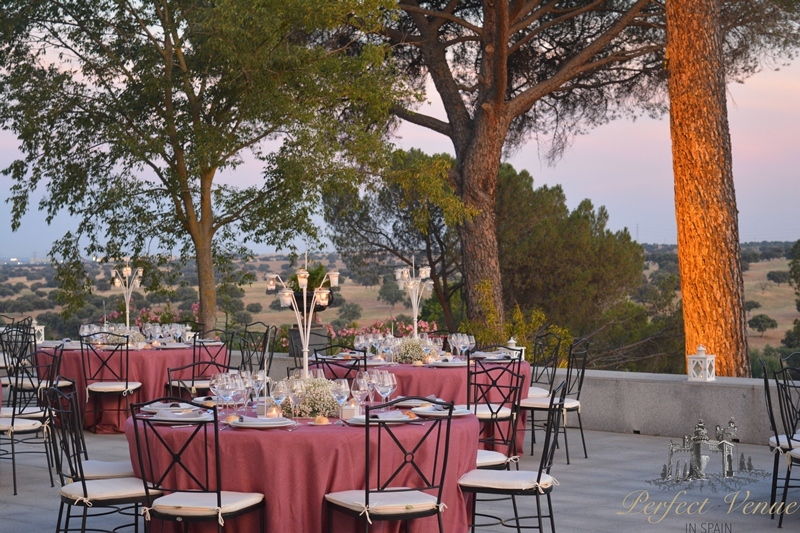 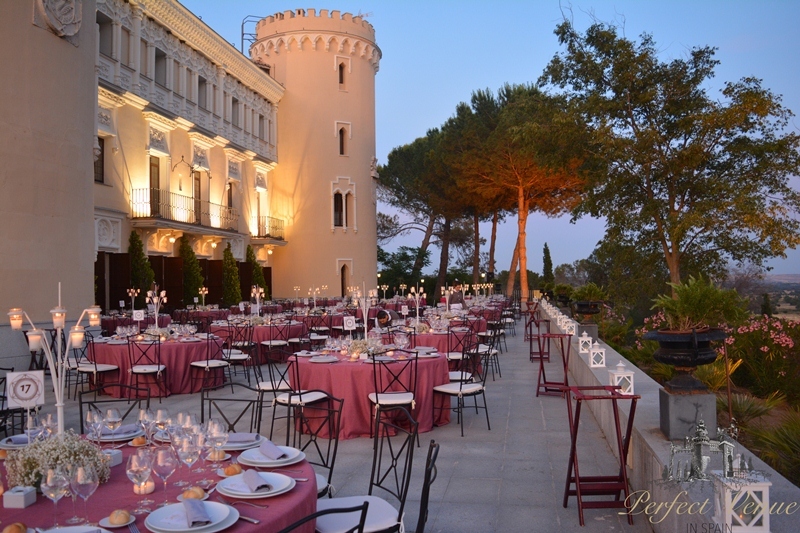 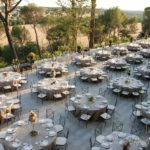 The amount in the form of a reserve of 3750 euros (excluding VAT), which is then deducted from the total bill for the event (90% before the wedding, 10% after). 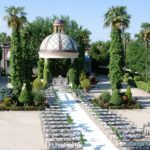 37 min from airport Madrid Barajas (31km).